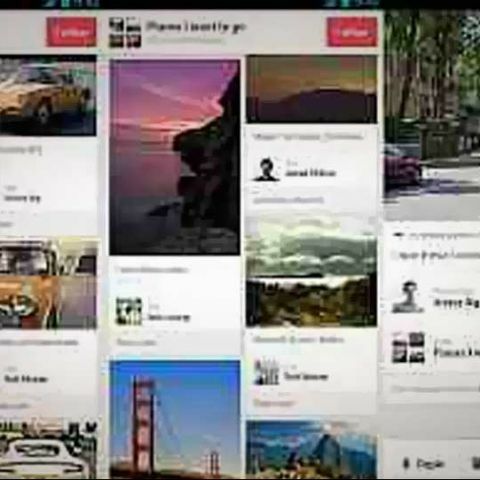 Pinterest on Friday released an update to its Android app on Google Play store. The update shows tall images bigger, and includes new boards that show where a pin has been repinned, simplifies pining content from external sites, and adds a number of fixes. 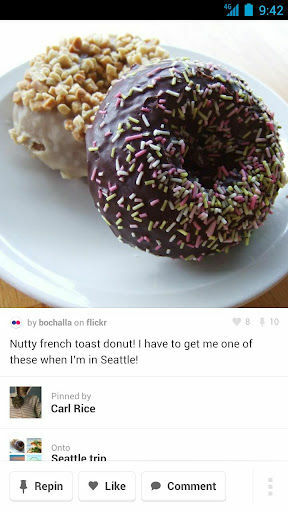 Pinterest's update to its Android app comes shortly after the company updated its iOS app, adding support for the latest iPhone 5 and new features such as support for pinning directly from the camera or Photo library on the iPad. 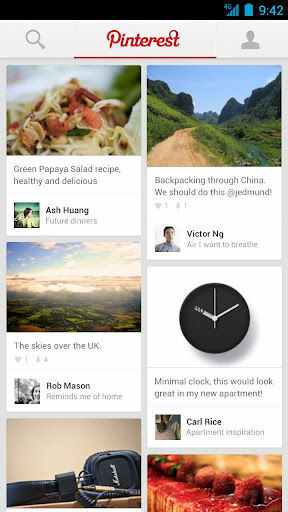 The company had released its iPad and Android apps in August this year, alongside an updated v2.0 for the iPhone. 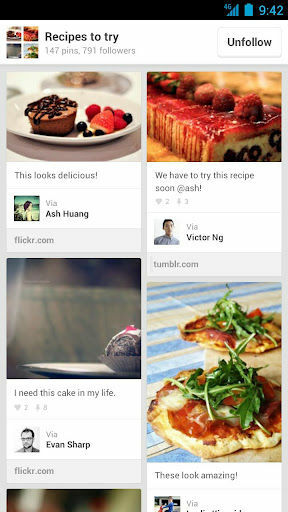 Pinterest also opened up its service to the public, after keeping it as 'invite-only' for a while. My Android Emulator never shows the app I run through Android Studio. You recently wrote a FastTrack on it.